San Francisco, CA – August 21, 2018 – The San Francisco Girls Chorus (SFGC) today announced its 2018-2019 40th anniversary season. Led by Valérie Sainte-Agathe in her first season as Artistic Director, SFGC will present four subscription programs in venues across San Francisco and Berkeley and collaborate with ensembles from the Bay Area and Denmark. Programmatic highlights include world premiere performances of SFGC commissions by Fred Frith, Richard Danielpour, and Aviya Kopelman; debut performances by tenor Nicholas Phan, contralto Kirsten Sollek, and Persian vocalist Mahsa Vahdat; the audience-favorite holiday concert at Davies Symphony Hall featuring Kronos Quartet and women’s chorus Musae; and a five-performance summer tour to England and France in July 2019. This season’s repertoire encompasses a breadth of works from ten prominent women composers that span eleven centuries, including Hildegard von Bingen, Lili and Nadia Boulanger, Talma Louise, Aleksandra Vrebalov, Reena Esmail, Kaija Saariaho, Sarah Kirkland Snider, Mahsa Vahdat and Aviya Kopelman. 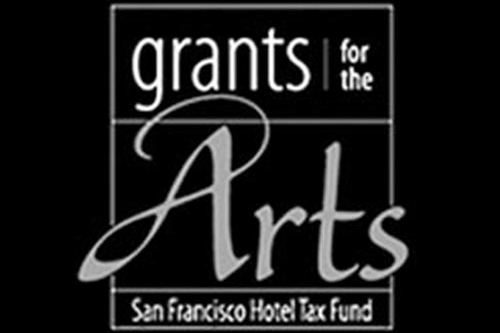 In addition to its own concert series, SFGC and various ensembles from its Chorus School will be featured on stage in collaborations with leading arts organizations including the San Francisco Opera (Ruggero Leoncavallo’s Paggliacci and Georges Bizet’s Carmen); San Francisco Symphony (Igor Stravinsky’s Persephone); and Opera Parallèle (Rachel Portman’s The Little Prince). SFGC will also host the Copenhagen Girls Choir and leading Scandinavian neofolk group Afenginn, for a mini-residency and joint concert as part of the two groups’ 2019 California tour. Furthering its commitment to the music of living composers, the Chorus School welcomes Bay Area-based composer Danny Clay for a year-long residency working closely on the process of creating and performing new music as part of its six-level choral training program. The Chorus School will also launch a partnership with the Bayview Opera House to bring its award-winning curriculum to school children in the Bayview-Hunters point district. The 40th anniversary season kicks off on Thursday, October 18, 2018 at Herbst Theatre with Mademoiselle: An American Inspiration, a tribute to the renowned Parisian sisters, Lili and Nadia Boulanger, that also marks the centennial anniversary of Lili’s tragic death at the age of 25. Nadia was one of the foremost composition teachers of the 20th century, educating and inspiring multiple generations of America’s most well-known composers, instilling in them the courage to explore and develop their own unique musical voices. 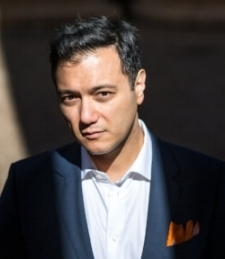 The program includes excerpts from Nadia Boulanger’s Les Heures Claires and welcomes international lyric tenor Nicholas Phan for excerpts from Lili Boulanger’s clairières dans le ciel. Commenting on a recent performance of this work, San Francisco Classical Voice praised Phan for his “interpretive authority and finesse.” The program also includes Lili Boulanger’s Les Sirènes and works from numerous Nadia Boulanger’s protégés including Aaron Copland’s An Immorality, Virgil Thomson’s Seven Choruses from Medea, Samuel Barber’s The Virgin Martyrs and A Nun Takes The Veil, Leonard Bernstein’s I Hate Music!, David Conte’s In Praise of Music, and Louise Talma’s Three Madrigals. The season continues on Monday, December 17, 2018 with Holidays at Davies, SFGC’s popular annual holiday concert at Davies Symphony Hall. A staple in the Bay Area’s holiday concert schedule, the program will build on the success of last year’s multi-cultural theme with a variety of traditional and holiday works from around the world. 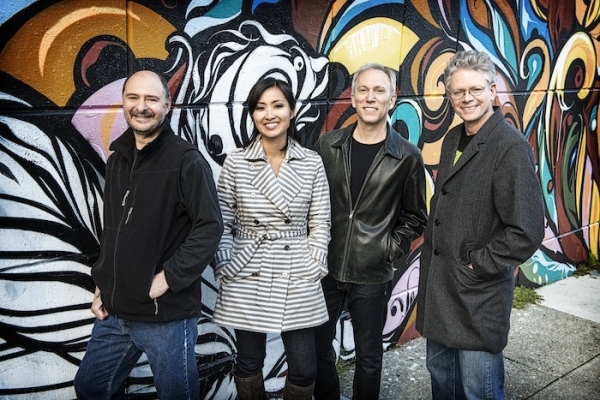 SFGC welcomes frequent collaborators Kronos Quartet for works including the West Coast Premiere of Michael Gordon’s Exalted, Alexandra Vrebalov’s Missa Supratext, Reena Esmail’s Still I Rise and Stacy Garrop’s Glorious Mahalia. Celebrating the ensemble’s 40th anniversary, hundreds of members from six Chorus School levels take to the stage with SFGC’s premier ensemble, SFGC alumnae, and women’s choral group Musae who, along with their principal conductor Laney McClain, include many former SFGC choristers. On the heels of its fourth ASCAP/Chorus America Award for Adventurous Programming, SFGC presents Modern Masters on Sunday, March 3, 2019 at the San Francisco Conservatory of Music featuring the first of three world premiere performances of works it has commissioned for this season. Written by English avant-rock composer, improviser and multi-instrumentalist Fred Frith, this commission is a playful work for chorus, synthesizer and percussion that draws upon the concept of time and incorporates elements of improvisation. Described by The Guardian (UK) as “an extraordinary sound source for decades,” Frith is renowned for his improvisational talents on electric and acoustic guitar in a career that also includes songwriting and instrumental performance. The program features Vaughan Williams’ rarely heard Magnificat, with soloist Kirsten Sollek, who has been praised by The New York Times as an “appealing rich” contralto, Just (After Song of Songs) by American film composer David Lang, a work featured on the composer’s soundtrack to the Paolo Sorrentino movie Youth (2016), Kaija Saariaho’s Horloge, tais-toi, Steve Reich’s Clapping Music, and John Zorn’s Colombina, which is featured on SFGC’s most recent album, Final Answer. SFGC concludes its 40th anniversary season with two performances of From East to West, on Saturday, June 8 and Sunday, 9, 2019 at Missions Dolores, San Francisco and First Congregational Church, Berkeley, respectively. Exploring texts from poets and visionaries from the east and west, the program includes the second and third world premiere commissions this season - Three Parables by acclaimed American composer, Richard Danielpour, based on 12th century Rumi texts, and a work by Aviya Kopelman, presented in partnership with the Israel Institute. The guest artist for this program will be Berkeley-based Persian singer Mahsa Vahdat who, inspired by the traditional and folk music of her homeland, will perform songs arranged by Tord Gustavsen specifically for this concert as well as her own compositions. Completing the program will be excerpts from American composer Eric Banks’ The Syrian Seasons, O nobilissima viriditas by Frank Ferko, and Stanzas in Meditation by Sarah Kirkland Snider. Following the conclusion of its performance season, SFGC will embark in July 2019 on its first international tour in four years, when it travels to England and France as Bay Area cultural ambassadors for five performances. More information on this tour will be announced early next year. In addition to a robust calendar of performance activities, the season also includes multiple educational initiatives. SFGC’s Chorus School will be joined this season by its fourth Composer-in-Residence, Danny Clay. As composer-in-residence, Clay will visit rehearsals during the fall and work closely with the Directors of each of the Chorus School’s six choruses. His residency began over the summer where he served on the faculty for SFGC’s music camps and will culminate with a brand new work to be premiered by all 250 members at the School’s annual Chorus School Spring Concert & Graduation on Thursday, May 23, 2019, at Herbst Theatre. A native of Ohio, Danny Clay uses elements of sound, movement, theatre and visual design in his compositional approach. Among his numerous commissions are Kronos Quartet, Third Coast Percussion and pianist Sarah Cahill, with works performed by International Contemporary Ensemble, Eight Blackbird and San Francisco Contemporary Players. SFGC is also using the season to expand on a new partnership with the Bayview Opera House (BVOH), which operates under the auspices of the San Francisco Arts Commission’s Community Arts and Education Program. Started this past Spring, this expanded partnership will involve SFGC’s music educators teaching components of its award-winning music education curriculum to young schoolchildren of the Bayview-Hunters Point district each week during the school year through the BVOH’s Dare 2 Dream program. Four-concert subscriptions to San Francisco Girls Chorus self-produced concert season go on sale August 23 and are available at a discounted price of $158. Call (415) 392-4400 or visit http://www.cityboxoffice.com to purchase a subscription. Single tickets range in price from $28 to $62 and will go on sale September 1. Discounted student tickets are available at $10 with valid ID. Individual tickets for Persephone are available through http://www.sysymphony.org. Individual tickets for Pagliacci and Carmen are available through http://www.sfopera.com. Individual tickets for The Little Prince are not yet on sale but will be available through http://www.operaparallele.org. The San Francisco Girls Chorus is grateful to the many individuals, corporations, and foundations whose support makes possible the 2018-2019 season. Friday, December 7, 2018, 7 p.m.
Sunday, December 9, 2018, 2 p.m. Stunning range, flexibility, drama, and power are among the hallmarks of the 40-year-old San Francisco Girls Chorus, recognized as one of the world’s premier youth vocal ensembles. Led by Artistic Director Valérie Sainte-Agathe, SFGC has achieved an incomparable sound that underscores the unique clarity and force of impeccably trained treble voices. 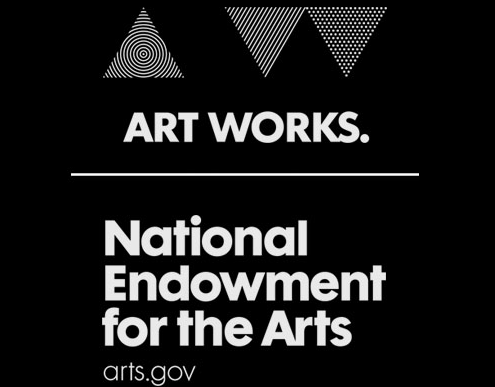 Recent performance highlights include debuts in February 2018 at Carnegie Hall with Philip Glass in a remounting of the composer’s 1971 work, Music With Changing Parts, and in April 2017 at the John F. Kennedy Center for the Performing Arts with The Knights for the 2017 SHIFT: A Festival of American Orchestras; tours to the Nordic countries and Cuba; and the 2009 inauguration of President Barack Obama. SFGC presents an annual Bay Area subscription series and will collaborate this season with leading arts organizations including the San Francisco Symphony, San Francisco Opera, Kronos Quartet, Opera Parallèle, and the Copenhagen Girls Choir. Praised by Gramophone Magazine as a “remarkable tapestry of teenage voices,” SFGC has been a champion of the music of our time since its founding, having commissioned more than three dozen works by leading composers including Philip Glass, Richard Danielpour, Aaron Jay Kernis, Gabriel Kahane, Augusta Read Thomas, Lisa Bielawa, and Chen Yi. In February 2018, the ensemble released its newest album Final Answer on Philip Glass’s Orange Mountain Music label, which features seven world premiere recordings and commissions for or by the chorus. SFGC’s performance and recording activities have garnered five GRAMMY Awards and four ASCAP/Chorus America Awards for Adventurous Programming. SFGC also operates a Chorus School, which annually trains more than 250 young women, ages 4-18, in the art of choral singing and has been called “a model in the country for training girls’ voices” by the California Arts Council. For more information, visit sfgirlschorus.org.